Mats Dernánd is a Swedish singer/songwriter, keyboardist, and harmonica player. Despite the Christian message, he recently experienced success on Swedish Radio, and with a new single just released he tells LTTM how he's now aiming even higher. Read More Mats Dernánd is a Swedish singer/songwriter, keyboardist, and harmonica player. Despite the Christian message, he recently experienced success on Swedish Radio, and with a new single just released he tells LTTM how he's now aiming even higher. I'm a married Swedish father of two sons, who has played in different bands and written songs since my early teens. But it was just 2.5 years ago, when I finally bought some software for recording, that I started to release songs in my own name. 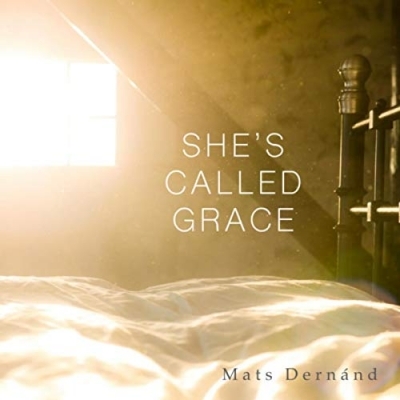 Your new single 'She's Called Grace' has a novel approach to exploring God's grace - tell us the background to the song. My experience is that many people outside church think that Christianity is about doing good deeds, that they don't understand the concept of grace. I wanted to explain it and the fact that God's grace is new every morning. Then it hit me, that it's like a person (Grace) that visits you every morning and whisper love and forgiveness into your ears while you're still asleep. Just like the new day - you're like a new creation to God. Your music has recently had some success with Swedish Radio - did that come as a surprise to you? Yes, it was an absolute surprise! My song 'Solid Ground' was the second song that I've ever recorded on my own. I was very hesitant before I finally sent it to the local radio station where I live. It turned out to be one of the most played songs made by a local artist during 2018. Now 'She's Called Grace' in just two weeks has reached an even bigger audience through radio and different playlists. Can we expect more new music from you soon? Of course, but since I have a regular job beside the music, my production rate is quite low I'm afraid. Hopefully I will have something new out this spring. I'm a big Bruce Springsteen fan, so that would be something to dream about. Since Springsteen has a faith in God, I don't think the lyrics should be any problem. I think I'm still on a journey to find my own voice as a songwriter. It seems it is almost like I change the genre with each new song. But I guess my foundation is singer/songwriter-oriented rock. Beside Springsteen I could mention Marc Cohn, Del Amitri, The Wallflowers and Swedes like Jose Gonzales and Loney Dear. Supertramp was one of my earliest sources of inspiration. I want people to be affected by my music, preferably touched by God. In order for that to happen, I hope my music can reach far beyond my own neighborhood. Oh, it's a very close race between Tom Wait's "The heart of Saturday night" and Bruce Springsteen's "Born to run". I can't chose. A very, very hard question! I choose an instrumental track from the now deceased Swedish musician Björn J: son Lind, "Brusa högre lilla å" ("Sing louder little river"). It's the most beautiful piece of music that I have ever heard. I'm just in the beginning of my career as a songwriter and artist and I'm still developing. I certainly hope that this year will bring some good new songs.